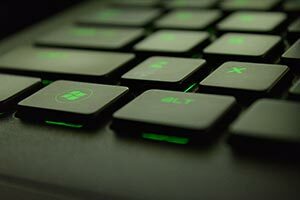 How to find the Best laptops for Gaming and Work? If you get a laptop that can handle the latest games, it will definitely be enough to handle any type of work application. If you want a laptop under $800 or you want a long battery life – going for i5 or i7 U model would be the best. Right now, that means i5-5250U, i5-6200U, i7-5500U, i7-6500U, i7-6560U, and i7-6650U. But if you dream to have a desktop-level computer, the only option you have is HQ/HK. That means i7-5700HQ, i7-6700HQ, and i7-6820HK. There are a few processors like i7-6920HQ that can deliver true desktop-level performance, but these can be found only at $4000+ level. Now, if you’re editing video, mixing audio or rendering 3D models – you’ll need i7 HQ/HK processor. GPU is by far the most demanding specification if you want to run the latest games. You don’t need to get the best discrete graphics card to run most of the games out there. Even for latest releases, Nvidia GTX 960M should do a good job. But if you want a laptop that can handle 4K gaming and VR – you should look out for 10th gen (Pascal) Nvidia cards. The great news about video cards is that there’s very little difference between 10th gen Nvidia desktop cards and notebook cards. That means you can expect similar performance from 1060 in a laptop and in a desktop PC. It’s worth mentioning that the recommendation area is not littered with these laptops (though it may be updated to include them in the future). That’s because they’re still quite high up when it comes to price and most of them are exclusively gaming-oriented laptops. For many, right now might be the best time to get a good deal on a laptop with a 9th gen graphics card. To wrap up this spec, we need to consider the amount of memory that comes with any given video card. Nowadays, most cards come with at least 2 GB video RAM. But if you want to play with very high resolutions (above Full HD) or you want a VR-ready laptop – you’ll need at least 4 GB (6 GB preferably). How much RAM is needed for gaming and work? Just like 2 GB should be your basic amount of VRAM, 8 GB RAM should be your starting amount of operational memory – RAM. Who needs more than that? Anyone who is a heavy multitasker. I define a heavy multitasker by the number of applications, games, and tabs open in their browser. If you have ~10 applications open, maybe 1-2 heavyweight games and ~20+ tabs – wow – how can you even live without 16 GB? If you find a great laptop that doesn’t have 16 GB, check if it’s upgradable (or at least its RAM is replaceable). Since we’ll be looking at many 15.6″ and 17.3″ laptops, these often have plenty of room for upgrades. Should you go for SSD or HDD in a laptop? For the most part, I recommend getting an SSD. They’re just that much faster than regular HDDs. The very best laptop for gaming and work should have a large SSD storage. By “large”, I mean 500 GB to 1000 GB of SSD storage. But when we’re trying to fit a high-end CPU, GPU, plenty of RAM and a lot of storage, we might not be able to fit it in a reasonable budget. So, unless we’re looking at $2000+ laptops, we might need to consider a hybrid solution. It involves either a pair of an SSD and an HDD or a single SSHD. When we can’t afford a laptop with great specs and a large SSD, I recommend resorting to a 250 GB SSD and 1 TB (1000 GB) HDD. Or we could go for a single 500 GB – 1000 GB SSHD (HDD with an SSD-type buffer). Finding a remarkable battery for gaming and work is extremely difficult. It’s as if we’re competing in tug of war and we are pulling it on both sides. In all other cases – that is – performant laptops on a budget – suffer from short battery runtimes. These laptops usually can last no more than 4 hours of light work (email, browsing, spreadsheets, writing). A bright display is a great way to ensure you won’t need to squint whenever the sun turns on you. But wanting a bright display and making sure you get one are entirely different. First of all, brightness metrics are found in 3rd party reviews and rarely anywhere else. Second, not all laptops are properly measured in that regard. Brightness can be found by simply googling the exact model name and “screen brightness” next to it. If the laptop has a 4K display (or any other HiDPI display for that matter) – add “4K” or “QHD”, “UHD” or simply its exact resolution in numbers (“1920×1080”, “2560×1440” and so on). A good maximum display brightness is 320 nits (usually that means 300 nits average brightness). Anything below 240 nits of maximum (220 nits of average brightness) is pretty bad for a laptop. On top of that, having IPS panel is recommended. It allows you to see non-distorted colors no matter what angle you are looking at the screen. It’s a classic tell-tale sign of a premium quality display. This one is for you, night owls. Even if you can touch type, a backlit keyboard is a great addition to a laptop. And if you can’t – then it’s almost a must for pulling all-nighters. The first laptop on the list already seems to have it all. It has a great CPU, good GPU, plenty of RAM and a 120 GB for OS and main applications and 1 TB HDD for games. Since it’s a 17.3″ laptop – it’s a clear contender to replace your desktop PC. And it should be treated like one – that means it is not ideal for travel or working in coffee shops but it’s great if most of the time you’re just working and gaming in the same place. The next model on the list is a bit smaller and more suited for traveling. It also comes with a touchscreen that makes it easier to use on the go. Its display has a whopping 4K resolution. Though, due to a high resolution and i7-6700HQ, it has a bit weaker battery life – just up to 5 hours. Comparing to HP Envy 17t it performs similarly and is only a bit more expensive. It is smaller, it has a better display but a bit weaker battery. HP ZBoook is a better option if you need a laptop with Nvidia Quadro graphics card. These cards are more stable than GeForce cards. They also offer good OpenGL performance. For most, going for GeForce is better just considering their price difference. But if you need to work with CAD, 3D and motion graphics software – Quadro is a great option. Its small SSD can be used for OS but HDD is where you’ll keep all your games and storage-intensive work. Since GPU drivers are oriented towards OpenGL and not DirectX – it is not as good at gaming as you’d expect to look at its pricetag. But it still can easily handle popular games like League of Legends or Counter-Strike: Global Offensive. This well workstation has a great processor and another (but this time – better) Nvidia Quadro graphics card. It has a long healthy battery life for such CPU and GPU. 250 GB SSD PCIe will deliver top speeds for file management but the storage size itself is lacking. For some, an external drive or cloud storage will be necessary. It includes a backlit keyboard and numpad while not being that much heavier than an average laptop. This is the best gaming and works laptop if you’re looking for performance. Usually, I’m reluctant adding not very well known brands to the list. But this laptop was well above its competitors to ignore. It has plenty of RAM (32 GB), SSD storage + 2 TB hard drive. It comes, with plenty of fun bells and whistles – G-Sync support, backlit keyboard, Sound Blaster X-Fi audio card, fingerprint reader, Intel Wireless chip, which are known for their good support for virtualization and Linux. Worth mentioning, it is not a touchscreen laptop – it’s focused towards those that love using a keyboard and mouse. And I can’t blame them. Reviewing Eluktronics laptops, I’ve noticed that they put a lot of emphasis on port selection. This model is no exception. It comes with 4 USB 3.0 ports, 2 mini DisplayPorts, and HDMI. That can be used to set up a lot of external displays. The only drawback is its limited battery life. That seems to be the problem with most of their laptops. Though, that can be their niche – great performance, reasonable price, but at a cost of not having a large battery. Furthermore, if you want to compare it to a more known brand, you can check out a more expensive Asus ROG model. I’d like to add that the 2014/15 HP Omen is a decent contender if you’re OK with a slightly older number. I have the 14, it’s got a 256GB m.2 SSD, 8GB of RAM, an i7-4710HQ, and a GTX 860m with 2GB of VRAM. It can be found online between $600 and $1500, depending on where you look and the condition of it, and comes in touch and non-touch models. The battery life isn’t too great, but it’s lightweight, and the performance is incredible for what I do (writing tech articles and editing images for them), and gaming performance tackles most things adequately. I can get 45fps or so in The Witcher 3 on medium settings at 1080p, and more if I go to low settings or 720p. It chews through just about any game older than that with aplomb, and can even play stuff in VR, with some settings tweaks. Playing your favorite PC games at high screen resolutions doesn’t mean you have to buy a big desktop rig as today’s best gaming laptops pack some serious power. Harcore gamers will argue that you need a desktop computer to truly play games, especially if you are a fan of pushing the levels of graphics quality beyond the capabilities of a mobile phone or a mere gaming console. In this regard, the gaming desktop is still king, particularly when it comes to having the kind of components and horsepower needed to run 4K games smoothly and support virtual reality (VR) setups. But if you want or need something you can tote around the house/office or use to complete your work/study, then you will find many powerful laptops out there.